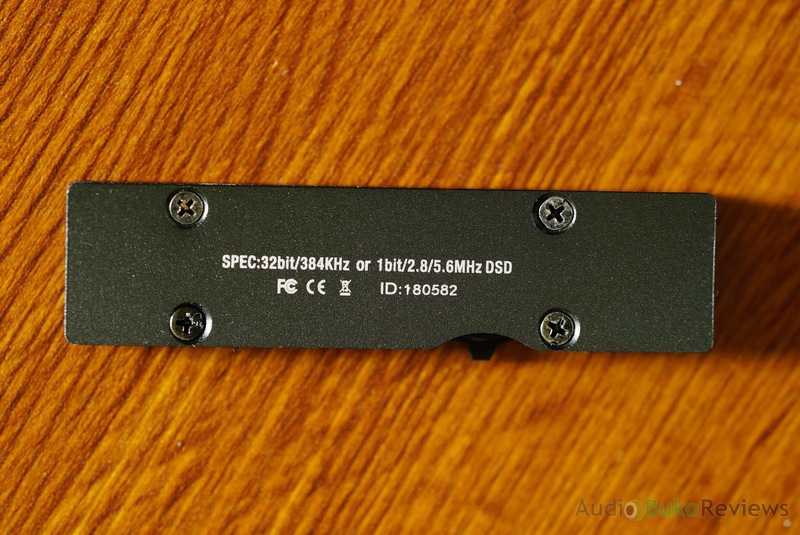 Introduction: Audirect is a Chinese company that has engaged in the development of Hi-Fi products for quite some time, and they have been busy recently making their third generation product after the Whistle, a USB portable Hi-Fi DAC called the Beam. 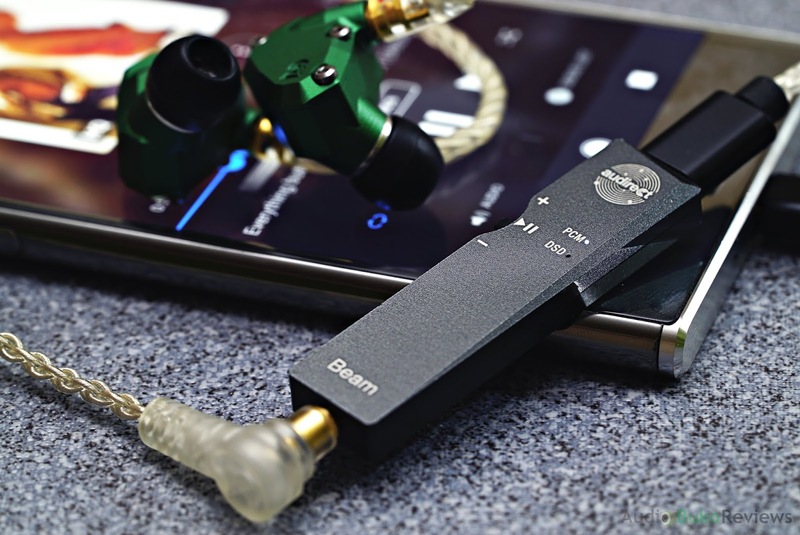 The Beam is aimed as an audiophile solution for the disappearing audio jack on mobile phones and can also double duty as your computer audio upgrade. The Beam I have is the Grey (Graphite) one and they also come in Gold. I would like to thank Audirect for providing me with a review sample in exchange for my honest and unbiased review. You can buy the Audirect Beam at the Audirect's online store, the Penon website or locally if your retailer has them in stock. Specifications/Unboxing: "Using the critically acclaimed ESS patented 32-bit HyperStream® DAC architecture and Time Domain Jitter Eliminator, the ES9118 delivers up to 125dB SNR and –114dB THD+N, a performance level that will satisfy the most demanding audio enthusiasts." You can also download their Windows driver from the product page HERE if you need it, personally on Windows 10, there was no need for me to download the driver but your mileage may vary. 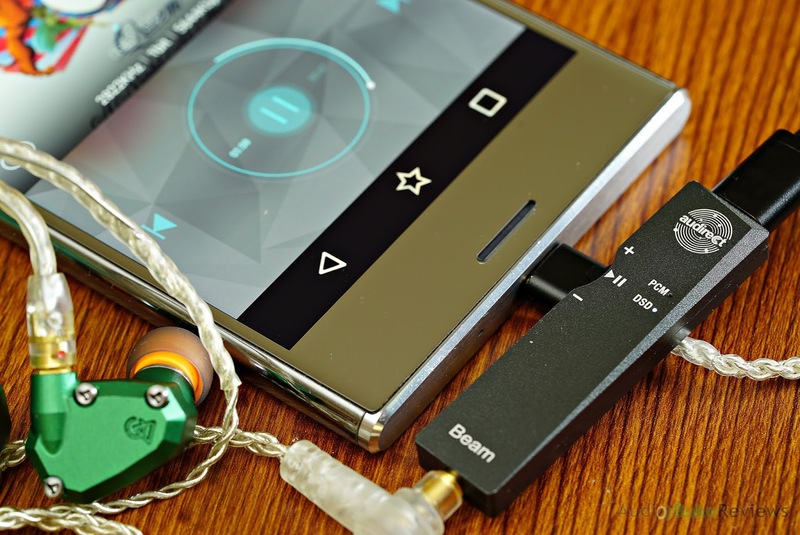 The Beam is totally dependent on what the device it's connected to can play, with regards to file compatibility, but if your phone/computer/DAP is capable of playing DSD files and the app you use can course it through, you can get full DSD reproduction on the Beam (you'll see this when the DSD LED lights up instead of the PCM like the image below). Unboxing isn't very complicated, you get the nice little cardboard box with the Audirect Beam displayed in front through a clear plastic cover with information printed around it as seen above. Opening it reveals the dongle and a separate box where the 3 cables are placed along with the manual. No fuss, just like the Beam. 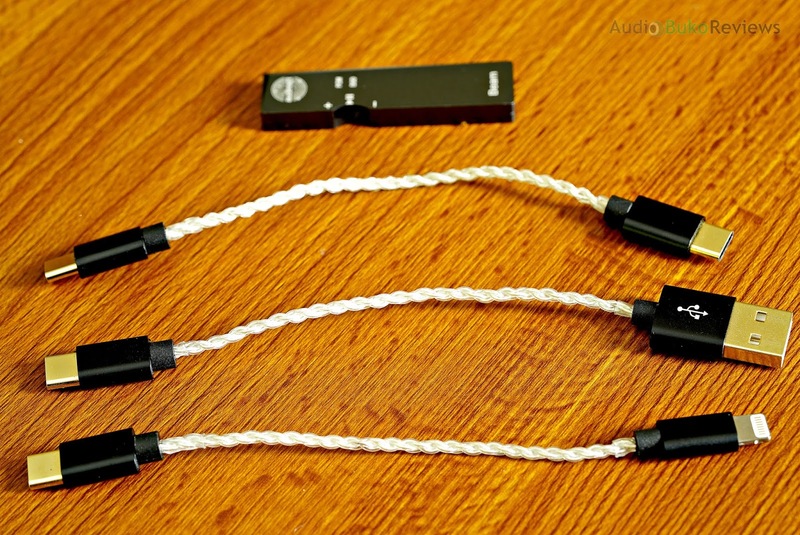 Cable: The Beam comes with 3 cables for general (modern) use, a USB C to USB C for most modern phones and DAPs to the dongle, a USB C to Lightning adapter for those modern iPhones, iPod Touch and iPads, and a USB C to USB A for computer use. 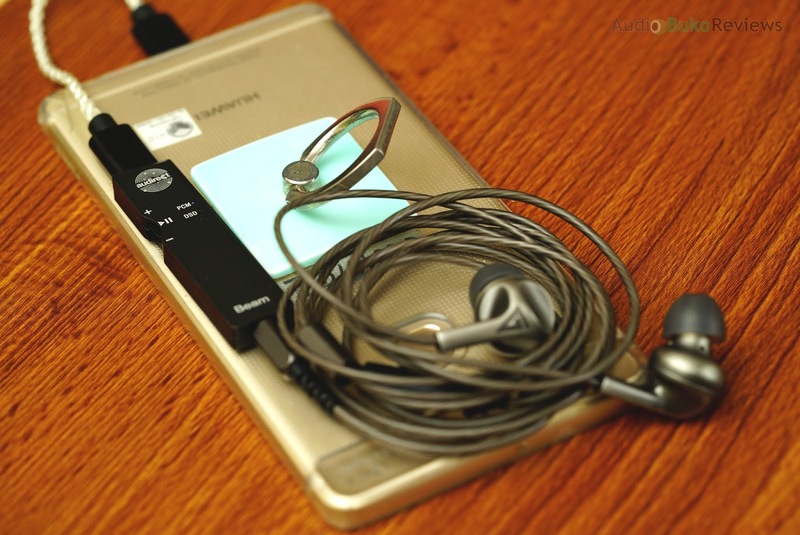 Construction of the cables is nicely done with braided wires protected by strain sheaths and sturdy gold plated connectors at each end. They're flexible enough to be pliable in use but strong enough not to stretch or break easily. An adapter for USB C to Micro USB could have made the package more universal, but considering the target market of the BEAM, both people who are looking for a portable upgrade for their computer/phone audio and those with modern phones lacking the 3.5mm audio jack, this is more than adequate in terms of cables and actually a bit more than some DAC/amps I've seen recently. Build/Design: The Beam case is made of a lightweight metallic material that is smooth in texture with a bit of an angular edge that is not sharp or piercing. The color on mine is called grey but I would consider it more of a Graphite color as it has a tendency to look a bit lighter or darker depending on the light angle, just like pencil lead. Still, it's rather eye catching but simple in design. 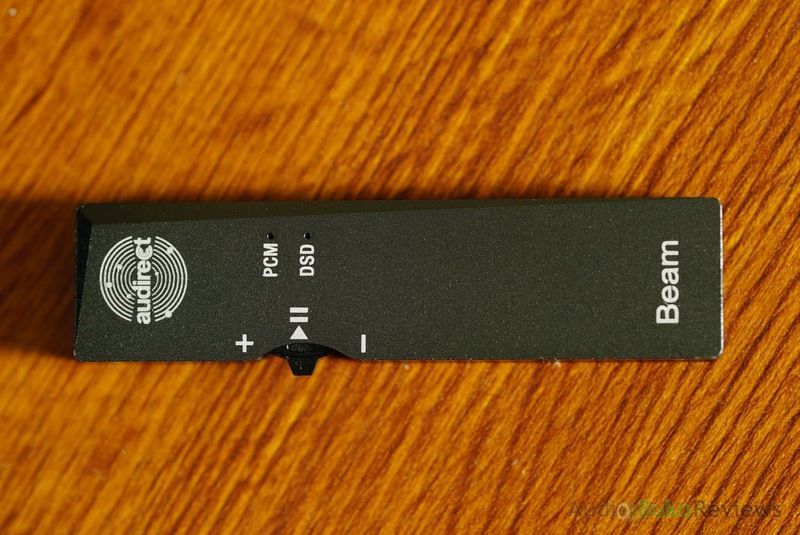 There are two LED ports indicating the bit-rate of the song being played, DSD is when the file format plays in DOP mode, and PCM is for everything else. The LED's are colored white and are small enough not to be considered a factor in power drain as they are just bright enough to be easily seen. There is a dial like switch on the left side for controlling the volume and you can press that lever inward to play/pause the music. There are 4 screws on the back as part of the construction and likely makes it easier to repair in case of trouble (but I don't suggest you fix it in case something goes wrong), and at the opposite ends are the USB-C port (top) and the 3.5mm (bottom) output plug. Overall the construction feels solid but light and the fact that it's pretty small at around the width of an AA battery while being a little bit taller and (almost exactly) 3 SD cards stacked on top each other thick, it's easily portable. The control switch is a nice feature that's intuitive and doesn't take up a lot of space, keeping the whole dongle streamlined and rather clutter free. Sound Analysis: Initially when I tried the Beam on multiple sources (phones, DAPs and my laptop) I felt that it was something like Mids > Bass > Treble in terms of attention provided in the frequency areas. But in addition to that, it had the technical ability to provide good detail and present a nice level of stage while sound pretty engaging. I always treat my review items to long usage times before finishing the review, just to see if anything breaks and such, so after over 250 hours of use, I'm ready to write down my findings. Bass: The Beam is able to present a better than average extended sub-bass with a neutral level of quantity, which ties in with a faster than average decay. This contributes to a more energetic presentation of the bass and a rather tight level of control. Bass impact and body is along the neutral side where bass hits aren't boosted (but are neither bass anemic) and sound closer to the original recording with neutral bass gear. Overall the bass is responsive and sounds smooth, lively and not exaggerated. Mids: As usual, good mids are my happy pill and the Beam is able to provide a rather great level of mid frequency detail and separation. There is a little bit of forwardness to the lower mids with male vocals sounding a little above neutral with thickness that prevents them from sounding thin or hollow and gives them good presence. The upper mids are presented in a bit more forward manner and again, a little above neutral thickness, which gives a good level of intimacy to female vocals. Overall, the tone of the mids is near neutral but has enough warmth and dynamic energy to convey emotions across the middle frequency effectively and with life. 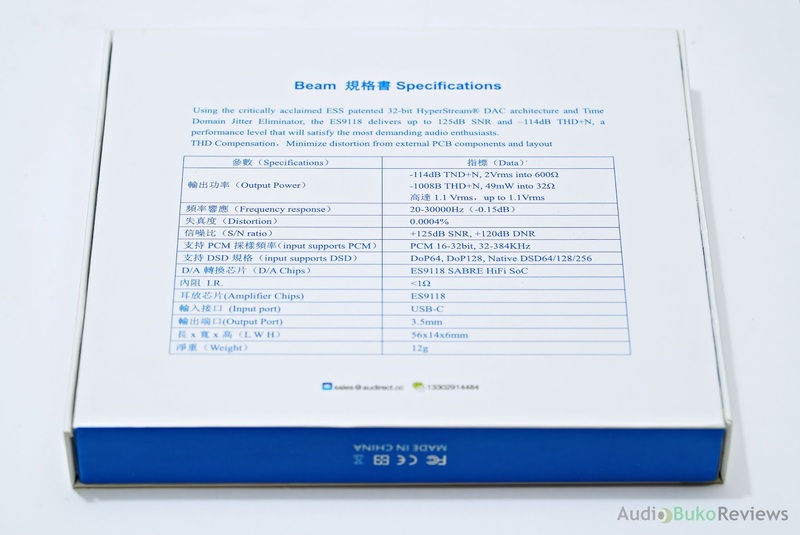 Treble: There is a little boost in the treble region which gives the Beam a more stronger treble presence. 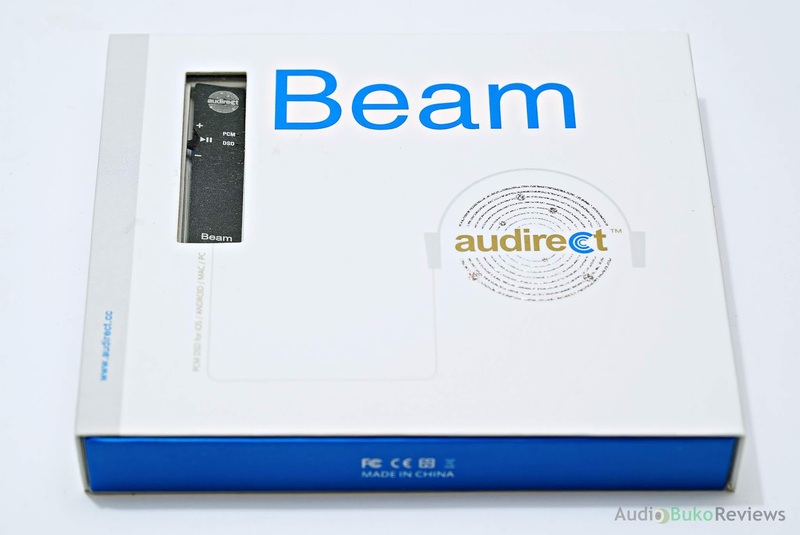 The Beam presents an average extension in the treble region, but combined with the boost and available reach, they contribute to the sense of air the Beam can provide as well as a little brighter perception of notes. The level of clarity and crispness is affected by the boost, which gives those ear gear with 'almost' crispy highs, a push to be crisp but this can also cause brighter gear to sound a little more brighter. 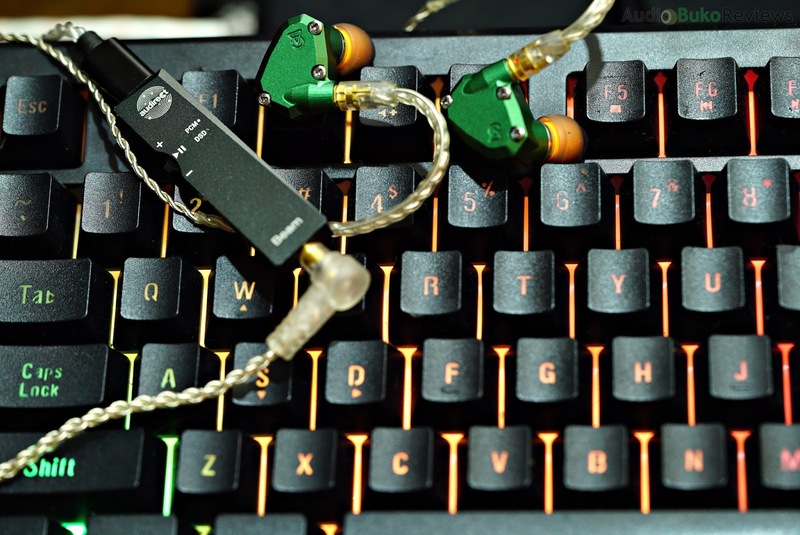 Sibilance and harshness is not normally induced on the Beam on listenable levels, however, very high volumes (around 95+db) with sibilance prone music and brighter ear gear can reveal some light to noticeable sibilance. Treble is accurate and responsive overall with a good amount of air, excitement and smoothness. Soundstage: The presented stage of the beam is of a good horizontal width and almost as good in vertical depth that sounds natural in it's spread. It can provide a good open feeling that is scaled up (or down) depending on your ear gear. Imaging is a bit above average in accuracy while the ability to space layers is pretty good. 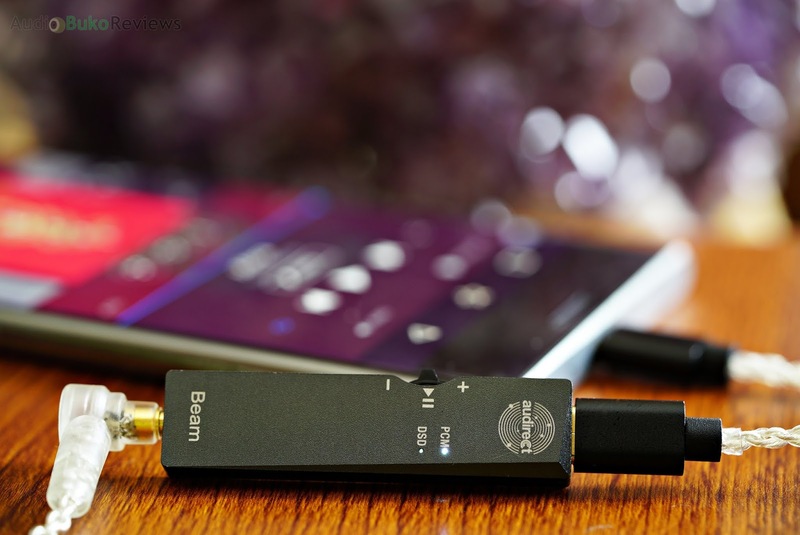 Conclusion: Audirect's Beam is a great portable DAC, it's small yet packs a big punch in terms of sonic and technical ability. It presents a near neutral sound signature to get as close to how the music was intended to be and yet does not sound clinical or boring. It provides a detailed and engaging mid range, a natural sounding bass with a crisp and energetic treble which can synergize with bass heavy gear as well as those with a relatively recessed mid frequency and relaxed treble regions for a fun and engaging listening session. 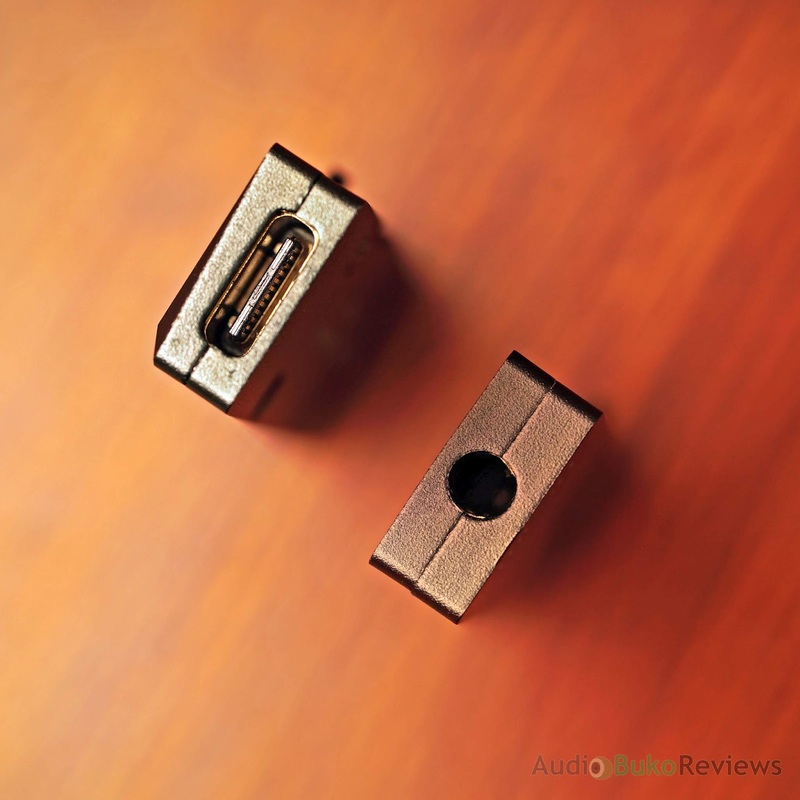 Cable accessories are of very good quality and perfect for modern use, but if you happen to use sources with micro USB ports, you'll need to get an extra cable for that. Pros: Small, dedicated controls, good detail retrieval, good separation, near neutral but energetic signature, plug and play connectivity. Audio Buko is a website about audio and the elements that surround it, manned by music loving people with interests in head gear, amplifiers, DACs, daps or music players and gear that help make listening to music at home and on the go that much more interesting if not altogether more fun! Audio Buko reserves the right to it's content with editing and removing of articles, pictures or links on the Audio Buko website made by Audio Buko or contributors. 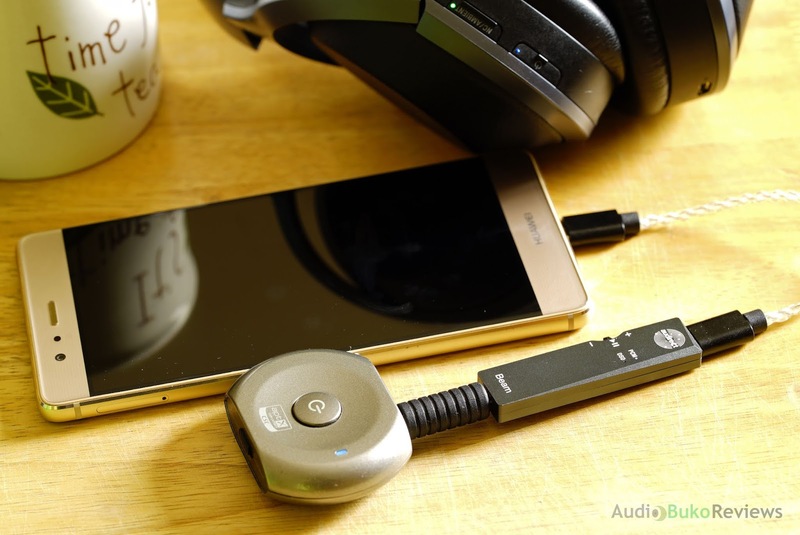 AudioBuko: An unquestionable interest in audio, with sometimes questionable taste. Audio Buko does not solicit money for articles or reviews made from the gear we own, borrowed or given as review samples.